When my kids were growing up, I loved doing art projects with them. One daughter remains interested and is really good. This is Adanech’s painting from a photograph of her and her niece/my granddaughter about 6 years ago. For all of us, the arrival of the baby Zariyah in October of 2006 was wonderful, amazing, joyous. 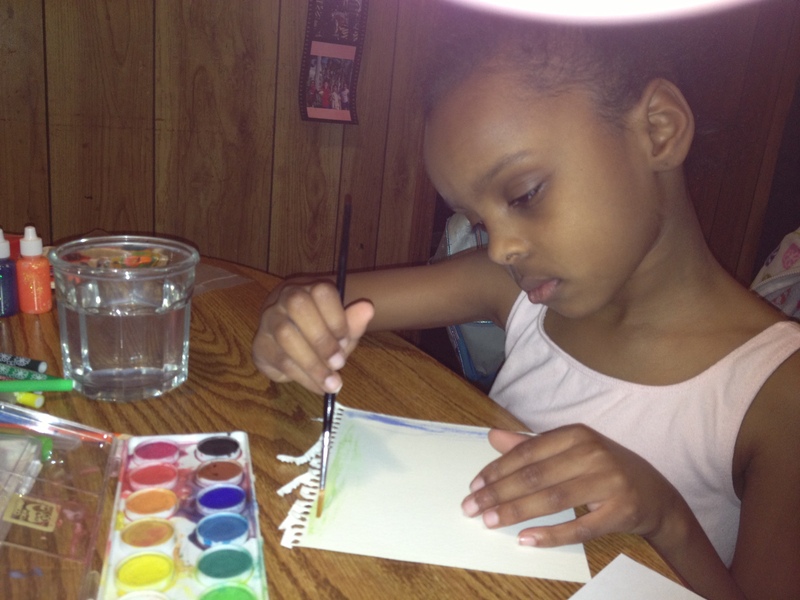 My daughter Aselefech, Zariyah’s mother, was adopted at 6 years old from Ethiopia. For Aselefech, Zariyah’s birth may also have been a visceral connection to what her Ethiopian mother had gone through giving birth to her. For Adanech (Aselefech’s twin sister), it may have been the same; plus, Zariyah was now a second person biologically related to Adanech, living under the same roof. Biological connections are a big deal. Having people who look like us, have the same quirks, laugh or sneeze the same way, who are connected to us by blood, can matter a lot. I have no siblings. My mom died over 9 years ago, and my dad lives in the memory unit of an assisted living facility, where he’s doing quite well. We skype every Friday, and that’s a joy. I have some wonderful cousins, but we are miles apart. I have no biological connection to the children I adore more than words can say. Zariyah, now 6 years old, knows I’m her grandma. She is still sorting out what it means that I am white and she is black, and that she also has an Ethiopian grandma that we hope she meets maybe this summer. Zariyah knows she’s not adopted, and that her mom, auntie, and two uncles (my sons) are. She knows the word “adopted.” I’m not so sure she fully gets it. Someone will probably tell Zariyah soon that I’m not her real grandmother, just as other kids told my children I wasn’t their real mother when they were little. Blood matters, and each of my children have a real mother who gave birth to them and cared for them–they also have a real father, real grandparents, siblings, cousins. I’ve met some of them, and what an incredible blessing that has been. And my children have me, and their dad, and their grandparents, and on and on. We are real too. I’ve always told my children the more people who love you, the better off you are. I hold their first families in my heart (those I’ve met and those I haven’t), as I do my own mother and others whom I love and who are no longer here. It’s a very big family portrait: a bit abstract, surreal, impressionistic, realistic, chiaroscuro. A work in progress. 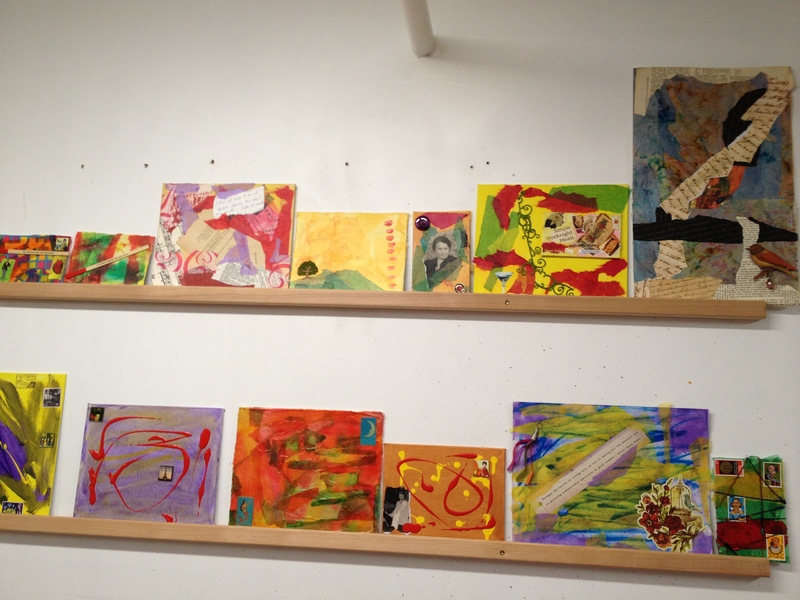 A few of my collages–piecing colors and images together. Hmm. 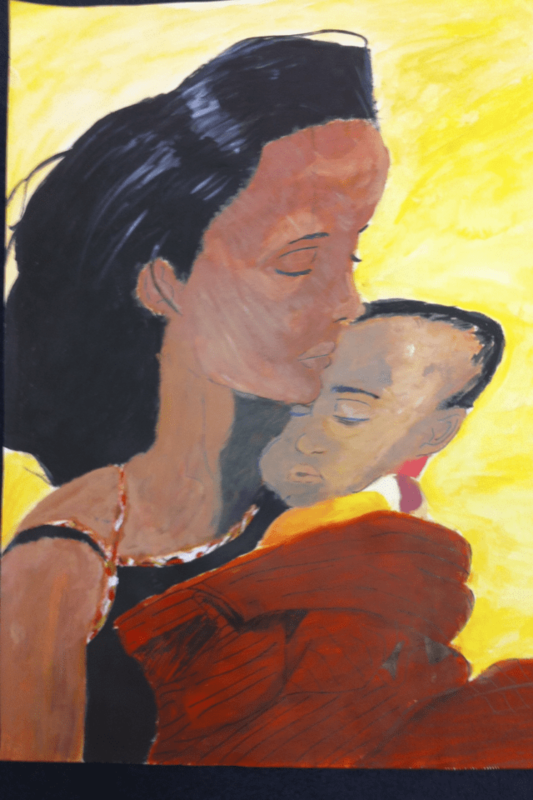 This entry was posted in adoptee art, adoptees, adoption art, adoptive parents, Ethiopian adoptees, Uncategorized and tagged adoptee artists, adoptees, adoptive parents, Ethiopian adoption by Light Of Day Stories. Bookmark the permalink. I’m loving all of your posts, but this one particularly touched me. Thank you very much, Ellen. It means a great deal to me to hear this from you, someone with such a kind and generous heart.